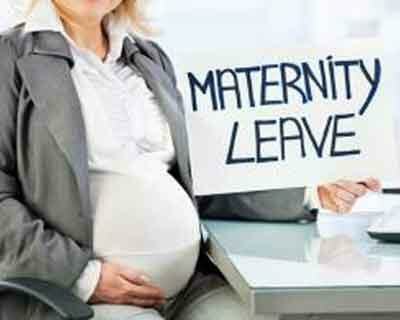 New Delhi: Cash incentives are not enough to encourage mothers-to-be to use government maternal healthcare facilities, say scientists who found that less than 50 per cent of eligible women take advantage of the Janani Suraksha Yojana (JSY) due to poor infrastucture at the hospitals. “Even when the government is giving free money and free medical care for pregnant women to use health facility for child birth, many people still do not use health facility for child birth,” Dr Sukumar Vellakkal, from the Azim Premji University in Bangalore, told . “For example, in year 2011-12, in Uttar Pradesh – one of the largest Indian states – only 60 per cent of the pregnant women had used health facility for child birth, and only 39 per cent pregnant women had availed JSY cash incentive,” said Vellakkal, the lead author of the study published in the journal Social Science and Medicine. The study identified several real cost components, consisting of discomfort of staying at an institutional delivery care facility without family members, inability to attend the regular needs of other children and elderly family members, interruptions in spouses’ employment participation, and neglect of livestock and agriculture. “When we stay at hospital for 3-4 days, who will take care of our children and parents, who will take care of our agriculture and animals?” a 26-year-old woman respondent from Jharkhand, who did not avail the scheme for her child birth, told researchers. “We don’t know how long we need to stay at hospital. Mine is not a government job, and if I don’t go to my daily job, they will find another person to replace me,” another respondent said. The study also found that people trusted in the skills of traditional birth attendants over the need for medical care. They also had the notion that childbirth is a ‘natural event’ requiring no institutional delivery care. “In addition, though the JSY offer cash incentive, there is some deficiency in the provision of health services in the public hospitals,” said Vellakkal. “Specifically, most public hospitals are unable to treat birth complications as a barrier, resulting in referrals mostly to private facilities,” he added. “To improve the uptake of the programme, there is a need of improving the support services of the community health workers focused on marginalised populations, along with better public healthcare facilities,” said Vellakkal. “Considering the diverse socioeconomic and cultural characteristics of the Indian population that can variously influence the decision of whether or not to use health facility for child birth, we should not give more importance to the market-based approaches such as conditional cash transfers,” he said. “Equally important is to address critical gaps around quality of care at the public primary healthcare facilities,” he added.